Shoreline Area News: Son of former Shoreline pastor killed in Washington, D.C. 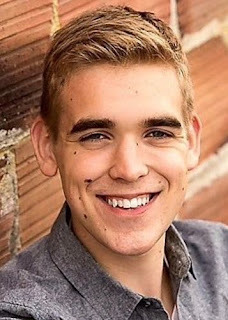 Son of former Shoreline pastor killed in Washington, D.C.
Kenneth Clarke, youngest son of Pastor Paula McCutcheon, former head minister of Ronald United Methodist Church, Shoreline, has died from injuries sustained when he was hit by a car last week in Washington DC, where he was a freshman at American University. Pastor Paula was instrumental in forming the partnership between Ronald UMC, Compass Housing Alliance and Hopelink that lead to the Ronald Commons project, a mix of affordable housing, food bank and social services support, the first of its kind in Shoreline. Clarke, 19, was hit last Tuesday March 27, 2018 near the Friendship Heights Metro station in D.C. and died Thursday from the consequences of a severe traumatic brain injury and brain bleed. A GoFundMe page has been established to help the family with expenses.